Is your organization growing as fast as your hometown? 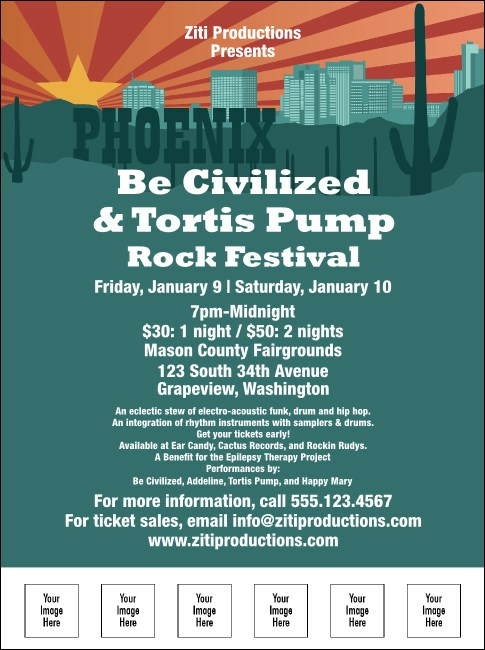 If you're hosting an event in the fifth-largest (and expanding) US city, check out the Phoenix Flyer. Enjoy maximum exposure without getting burned when you upload six custom images and spread the news with the right flyer for your Valley gathering. Don't sweat the small stuff! Let TicketPrinting.com cover all your publicity needs!